It is International Migrants day and since morning, a series of faces have been passing before my eyes. These are faces of women whom I have met in recent times and found, they were all victims of climate change. It affected each of them in a different way, but at the end of the day, uprooted them from their homes and turned them into migrants with an uncertain future. Let me share the stories of five of them. Akshaya, Hyderabad - Migrant, because there was no WATER. Rekha, 32, massages feet of tourists on Baga beach of Goa - India's most popular tourist destination. A marginal farmer's wife, she left Korba district of Chhattisgarh in 2010 because the government leased out the entire village to an upconing thermal power plant. The land was bought in 2007, but the money was paid according to the market price in the 1950. This money wasn't enough to buy land elsewhere and Rekha, along with her husband and 6 year old daughter came to Goa. Her husband has since left her for another woman, leaving Rekha on her own. 3. Renuka, Karnataka - Migrant because she didn't want to commit suicide. Renuka is 39 and lives in Goa. She used to pick cotton in her village in Bagalkot district of Karnataka - a neighboring state. But due to crop failure, several big farmers in the village committed suicide. As a result, there was no work in the village. She told me, "Everyday someone in our village was drinking pesticide and committed suicide. I have five children. If I did, who would take care of them? So, I left the village and came here. Renuka is also working as a domestic help. 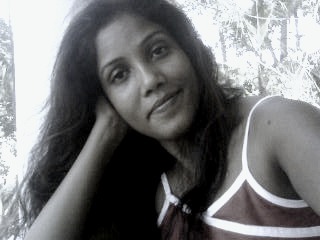 In fact, from 2009-2011, she was our domestic help. Savita was a vegetable vendor in a small town of the north east India called Bilonia. 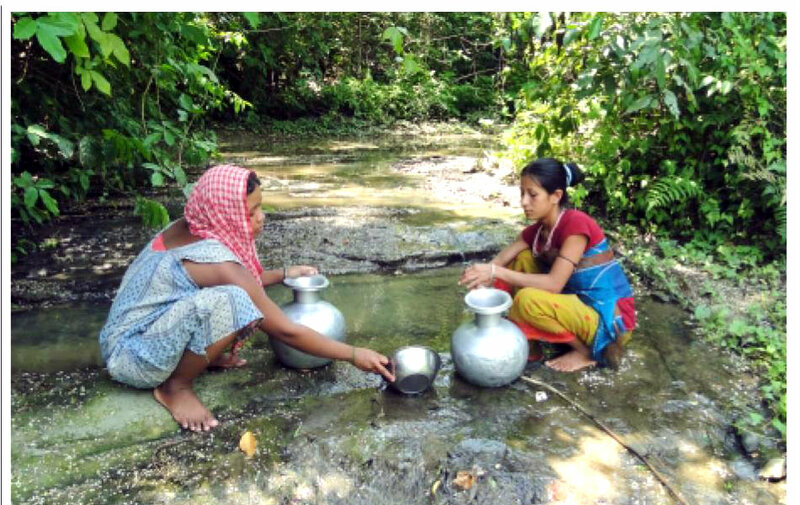 But last year, due to erratic monsoon, Savita's own farm couldn't produce vegetables and soon local markets were flooded with vegetables smuggled from Bangladesh. When she finally took her own produce to the market, Svaita couldn't find customers because the smuggled vegetables were cheaper and better in quality. Unable to run the business and repay the loans she had earlier taken to buy fertilizer, Savita and her husband fled home. Today, she is a domestic help in Kolkata. "I used to handle tons of vegetables once. Today, all I can afford is daal and rice." 5. 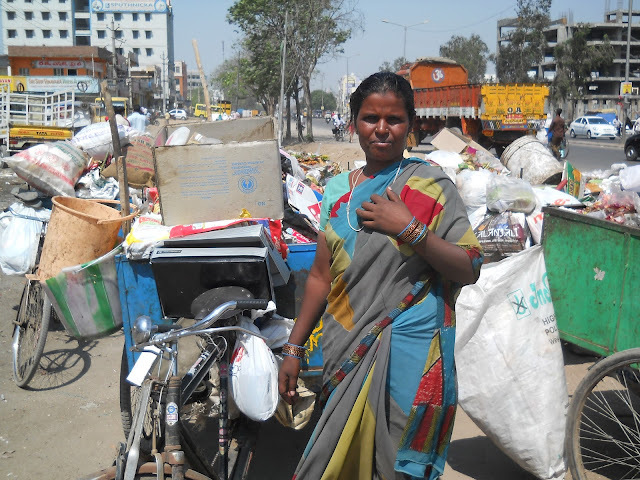 Amina, migrant, garbage picker because of flood: Amina lived in a village in Bihar of eastern India by the river Kosi. The village was entirely submerged in 2008 when a dam over the river was breached by heavy rain. It was the month of August and the flood totally destroyed the paddy crop. The government compensation wasn't enough to recover the loss, so Amina, along with her elder sister and her husband, migrated to New Delhi. With no skills for an office job, Amina sorts garbage to make a living. The loss for Amina includes marriage, children and a life surrounded by her near and dear ones. The question here is, what could have, or can still help each of these women? And the answer, at least for the last four of the women is, plug the hole. But for that, we must first recognize the hole itself. For example, cross border vegetables smuggling is a problem and it needs to be stopped. When a farmer commits suicide, it affects those he employs and the too need to be provided adequate compensation/alternative livelihood. When the government acquires land for a development project, the owners must also be helped to find an alternative livelihood instead of just being paid the land price. But above all, its time to see the effect of climate change on women and do a realistic, fact-based, nationwide study to assess the loss. The good news is, all of these are doable. The not so good news is, we are still in a firefighting mood when it comes to migration. Time, we shifted to the mood of prevention and preparation. Because, as the saying goes, prevention is always better than the cure.